The question of why some people seem to be locked in a continual recurrent pain cycle, is indeed a good question. While some individuals are lucky enough not to be plagued by any kind of back pain, others are frequent visitors in osteopathy or physiotherapy clinics. A new patient visits us for lower or upper back pain, we complete a consultation, a diagnosis is formed, an initial treatment, followed by 2-4 follow ups and the pain is resolved (in 9/10 cases). We then advise the patient that they should complete their exercises. The patient returns months later with the same, or similar problem. Loss of muscle control: A study in 2009, muscle fibres were investigated in back pain symptomatic and asymptomatic patients, to look for weakness and control in the long and short fibres of the spinal muscle. The conclusion was that despite pain resolving, the deep muscles of the back were contracting differently to those who did not have an initial injury. Deep back muscle control is vital for normal spinal control. 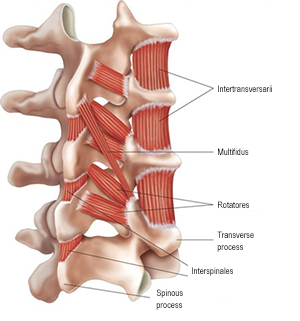 People with recurrent lower back respond differently to loading of the spine: Another study in 2010 compared back muscle contraction during loading and unpredictable loading, between people with and without recurrent back pain. The study found that despite back pain resolving, those who had suffered with back pain in the past had less contracture of the deep and superficial paraspinal muscle compared to those who had not suffered back pain in the at all. Recurrent lower back pain is associated with altered motor coordination of the lumbar paraspainal muscle. Back pain can recur when muscle firing is delayed, causing the spine to find loading difficult. This is why something as small as putting shopping in the boot of a car can cause injury. Sudden unstable load of the spine, with muscles that are not contracting quickly enough. The deep back muscles can weaken after an injury, therefore there is less stability in the spine. 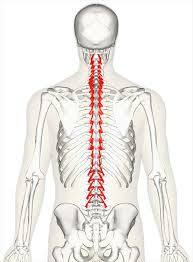 In conjunction the lack of coordination of muscle contraction means the spine is not moving effectively. If you have recurrent back pain, please see our page on spinal strength and mobility as we are now offering bespoke sessions. Alternatively exercises to help you manage back pain will be available on the website soon.